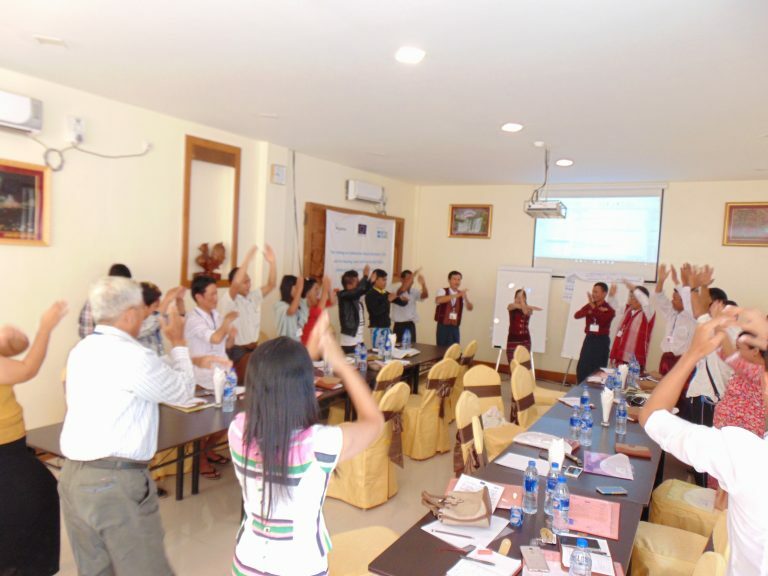 MyJustice is now a fully operational programme with 34 partners working across 46 townships in three states and three regions in Myanmar. 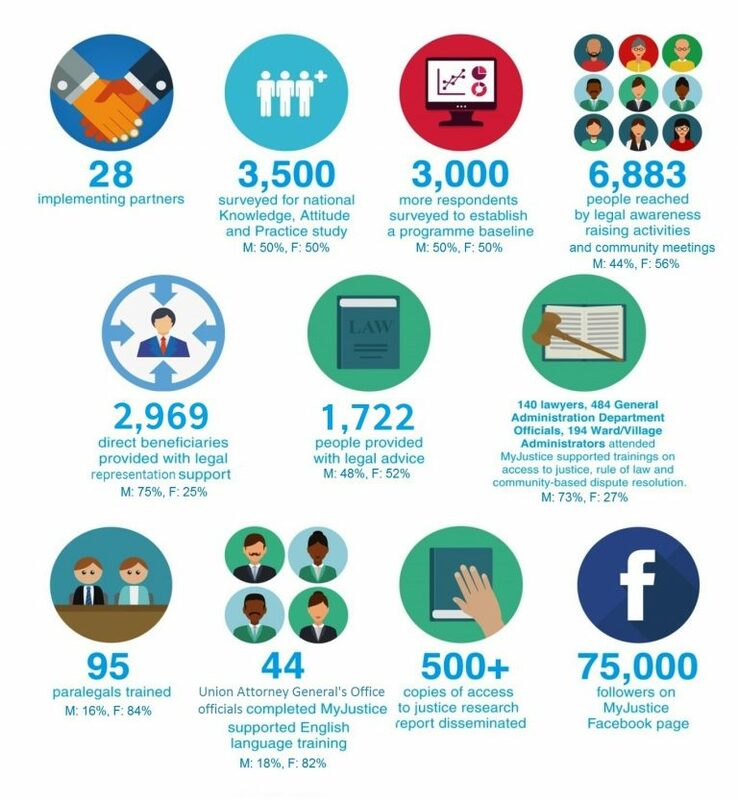 Here are key results to date from the work we are doing with our partners to promote access to justice for the poor and vulnerable in Myanmar. 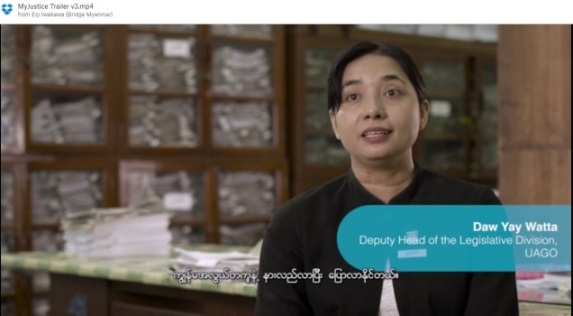 MyJustice is supporting English language training of officers in the Union Attorney General’s Office in Nay Pyi Taw in Myanmar. As of August 2017, 49 officers have completed the course. This film captures how the training has made a difference in the day-to-day work of the officers while also supporting their long-term career ambitions. 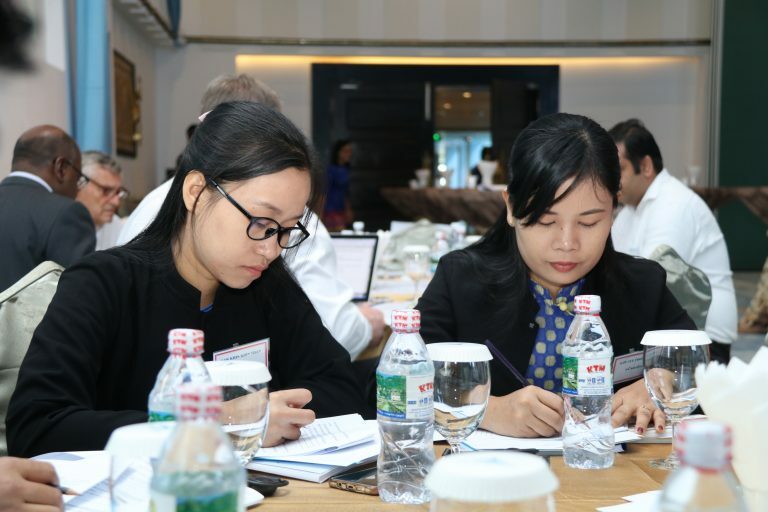 More importantly, the film illustrates the potential for this intervention to have a long-lasting impact on the justice sector in Myanmar.